The Ng Teng Fong Charitable Foundation donated 10 million yuan (US$1.56 million) to the China Foundation for Cultural Heritage Conservation for preserving and protecting the Great Wall yesterday. The money will be used to repair a 1,255-meter-long section of the Great Wall including restoring No. 67, 68 and 69 lookout towers and reinforcing the side walls near these towers. Daryl Ng delivers a speech at the ceremony in Beijing on June 8, 2018. 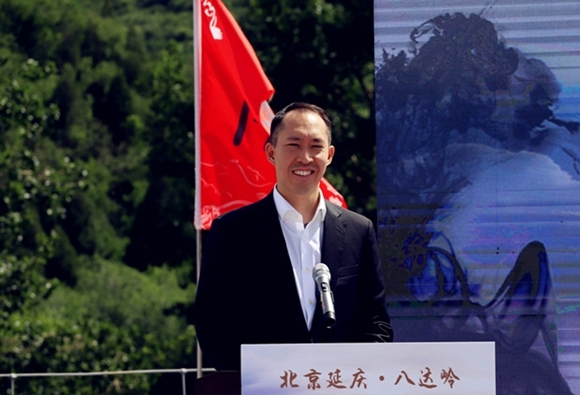 "I felt worried when I first saw the state of the ‘wild Great Wall’ (the secluded and less-visited part of the Great Wall),” said Daryl Ng, deputy chairman of Sino Group and Ng Teng Fong Foundation, at the fund launching ceremony held in Yanqing, northwestern Beijing on June 8. Ng recalled the experience several years ago when he inspected Beijing, as a member of the Beijing Municipal Committee of the Chinese People’s Consultative Conference. "As a national icon and world’s largest natural and cultural heritage, the Great Wall should be given more support in its restoration,” said Ng. Besides donating, Ng revealed Ng Teng Fong Charitable Foundation will organize for Hong Kong youths to regularly visit the Great Wall. Ng said he would serve as a bridge between the Chinese mainland and Hong Kong to foster the sense of belonging to the motherland by encouraging greater Hong Kong youth participation in conservation work and understanding Chinese culture and history. Li Xiaojie, chairman of China Foundation for Cultural Heritage Conservation, hailed this donation as a great endeavor to conserve cultural heritage at the ceremony. Through pooling more public contributions and bolstering conservation efforts, Li wishes to restore the original historical appearance of this world heritage site, which stretches more than 2000 kilometers across 404 counties in 15 provinces and regions in China. This is the second donation that the China Foundation for Cultural Heritage Conservation has received from the private sector so far since it launched online public funding program to raise money for the Great Wall restorations in 2016. The Great Wall fund donation ceremony held in Beijing on June 8, 2018. 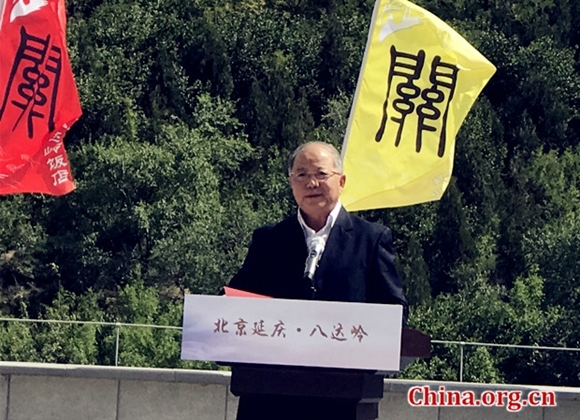 At the ceremony, Yanqing district also announced the establishment of the Great Wall Protection Volunteer Alliance aiming to get more volunteers involved in the restoration of the Great Wall. Ng Teng Fong Charitable Foundation, established in memory of the founder of Sino Group, Ng Teng Fong, in 2010, is dedicated to supporting China’s social undertakings in education, medical care, culture and sports.